Kataragama a popular pilgrimage destination frequented by adherents of all religions in Sri Lanka. Kataragama is a small town with clean, tree lined roads with rows of stalls selling garlands & platters of fruit-coconut, mango watermelon. Reaching Kataragama 19km inland from Tissamaharama lies the small & remote town of Kataragama. 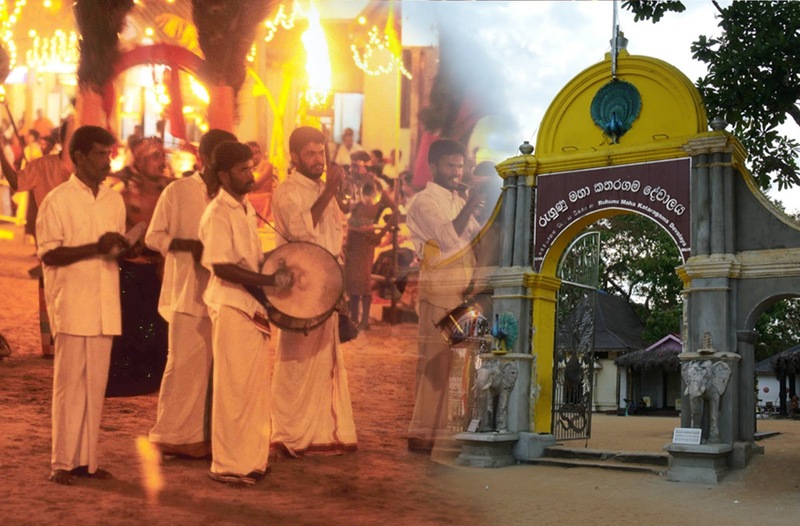 Kataragama is one of most popular & most sacred pilgrimages sites of Sri Lanka. Like Adam’s Peak, it attracts Sinhalese Buddhists as well as Hindu Tamils. The adored site is visited by Muslims & Christians too. 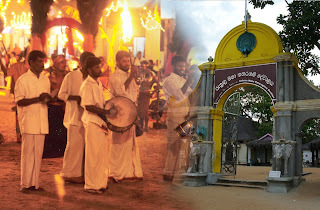 the Pada Yatra, leads all the way down the east coast from Jaffna, through the jungles of Yala, and is still tackled by those seeking especial religious merit. Most of today’s visitors, however, come on the bus. Skanda, the Hindu god of war, aka Karthika Kumara, Shuba, Mahasena, Devasena, Kadira, Agnibhuwa, Shanmukha, Kartikama, Murugan & Subramanya. 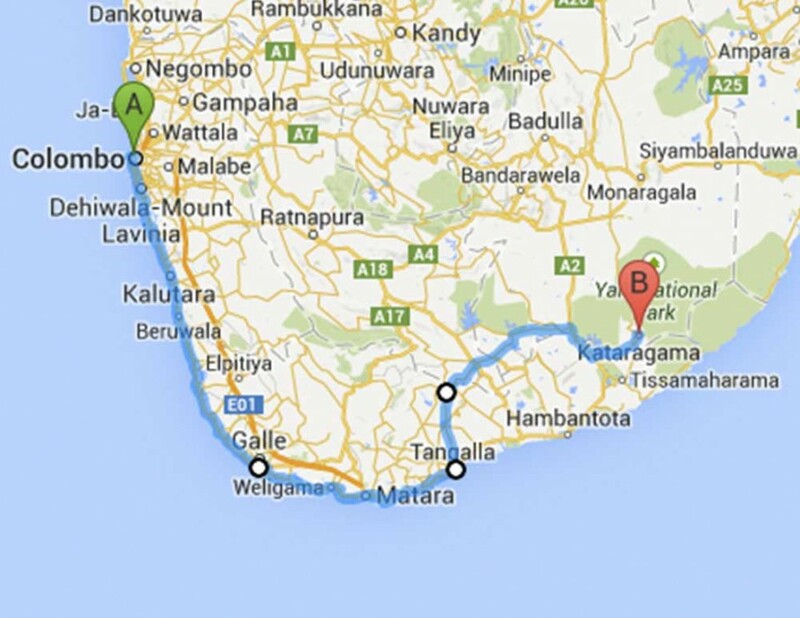 The god is said to have come to the island to fight an enemy of the gods & having defeated the demon Tharaka at Velapura, today’s Kalutara, settled down at Kataragama. The Hindu war god in spite of six-faces & 12 arms doesn’t look dusky & ferocious at all. If anything, he is fair & handsome. Beyond the Maha Devale is a meeting hall on the north side of the square. From the east gate, a Tulip tree avenue leads 500m past further lines of stalls selling lotus flowers to the Kiri Vehera dating from 1 BC.It is a milk white large stupa with a well maintained peaceful courtyard.